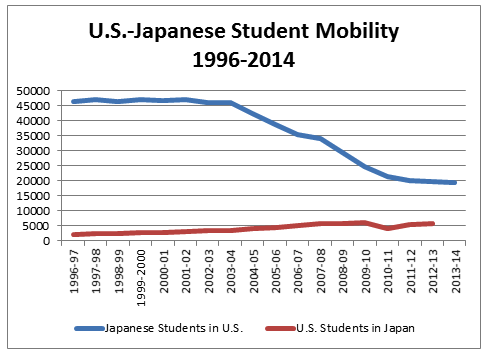 Student mobility between the United States and Japan has a long history. It can be traced to the 1868 Meiji Restoration in Japan, which sent young students, such as Umeko Tsuda, to study in the United States and brought foreign scholars, the o-yatoi gaikokujin, to teach in Japanese universities. Numbers of students going in each direction increased significantly after World War II, each country consistently landing in the top ten senders to the other for decades. In fact, Japan was the only Asian nation in the top ten study abroad destinations for U.S. students until 2000. The Japanese and U.S. students traveling back and forth came, however, in significantly different numbers and stayed for different amounts of time. Japanese students in the United States reached an all-time high of 47,073 in 1997/98, most of whom were full-time, degree-seeking students. The number has declined steadily since then, due to a decreasing Japanese student population, a growing desire to pursue degrees at the many fine universities that have arisen in Japan, and the rise of China as a study abroad destination. The first reliable count of U.S. students in Japan showed roughly 1200 studying there in 1985/86, nearly all on semester programs authorized by their home universities. This number steadily rose to the 5,758 listed in the 2014 Open Doors report, still significantly lower than the 19,334 Japanese students who came to the U.S. Still, the U.S. is the only non-Asian nation in the top ten countries sending students to Japan. The TeamUp campaign is based on a bi-national desire to reverse the trend in Japanese mobility to the United States and speed up growth in the reverse direction. As detailed in the previous section, there is much to be gained from such mobility. 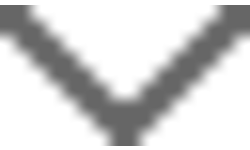 The campaign is not, however, a desire to replicate previous patterns. It is instead a desire to re-imagine U.S.-Japanese mobility, to think about it in a new way. More precisely, the campaign is a desire to frame such mobility as a mutually beneficial partnership among equals. Its goal is to support U.S. and Japanese institutions in developing new forms of mobility. In doing this, the campaign recognizes that many Japanese students are now pursuing the same forms of study abroad as U.S. students. Both seek productive stays away from their home institutions, periods when they can immerse themselves both academically and experientially in the other country, and for which they receive credit and recognition by their home institutions. This is an exciting shift. It ushers in a new era of mutual learning and growth between the United States and Japan. It places study abroad within a broader context of U.S.-Japanese educational collaboration in which institutions build student learning experiences together. It moves the discussion from a focus on numbers to a focus on learning. It invites innovation and out-of-the-box thinking, such as creating cohorts of U.S. and Japanese students who work together both at a distance and face-to-face. It includes developing thematic programs that focus on specific professions or research topics, bringing insights from both countries to bear on these. And it opens the door to new kinds of students, institutions, and disciplines, whose participation will do much to double the numbers by themselves. In this light, the campaign asks for a form of student mobility that is deeply embedded in institutional partnerships.